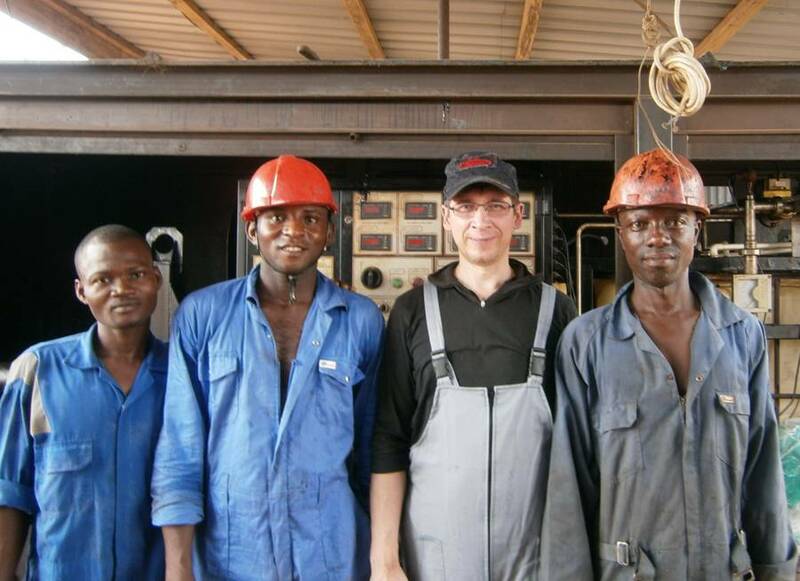 In the first quarter of 2016 Globecore specialists visited Ghana. The objective of the visit was to inspect the current condition of a UVB-1 unit, which has been in operation since 2012, and to share experience to incorporate customer feedback in the company’s operations. The total length of automobile roads in Ghana is 39.41 thousand kilometers, while the length of hardtop roads is only 11.67 thousand kilometers. This is not enough for the country; besides, the existing transportation routes require major repairs. Application of bitumen emulsions makes it possible to create durable road surface with minimum consumption of binding material, to save fuel in production of “cold” emulsion-mineral mixes, to expand the road construction season and to reduce hazardous emissions into the atmosphere. As a result of the inspection, GlobeCore’s experts identified that 40000 m3 of bitumen emulsion were produced using the UBV-1 plant. The equipment is in operable condition and is ready to proceed with its contribution to the progress of the road-construction industry of Ghana.